The product will be delivered by email. If you have any question, want to preview some sample pages, or ask for custom research, please contact us. You can also check with us for possible discount. It is possible now to buy a part of the report in terms of chapter, section, data table or figure. The aggregated revenue of global military robots market is expected to reach $221.7 billion during 2018-2025 owing to a growing adoption of various types of robotics in global military and defense industry. Highlighted with 80 tables and 79 figures, this 251-page report “Global Military Robots Market by Platform, Application, Operation, Payload and Region 2014-2025: Growth Opportunity and Business Strategy” is based on a comprehensive research of worldwide military robots market by analyzing the entire global market and all its sub-segments through extensively detailed classifications. Profound analysis and assessment are generated from premium primary and secondary information sources with inputs derived from industry professionals across the value chain. The report provides historical market data for 2014-2017, revenue estimates for 2018, and forecasts from 2019 till 2025. The trend and outlook of global market is forecast in optimistic, balanced, and conservative view. The balanced (most likely) projection is used to quantify global military robots market in every aspect of the classification from perspectives of Platform, Application, Operation, Payload and Region. Based on platform, the global market is segmented into the following sub-markets with annual revenue included for 2014-2025 (historical and forecast) for each section. On basis of application, the global market is analyzed on the following segments with annual revenue in 2014-2025 provided for each segment. On basis of operation mode, the global market is analyzed on the following segments with annual revenue in 2014-2025 provided for each segment. On basis of payload, the market is analyzed on the following segments with annual revenue in 2014-2025 provided for each segment. For each of the aforementioned regions and countries, detailed analysis and data for annual revenue are available for 2014-2025. The breakdown of all regional markets by country and split of key national markets by Platform, Application, and Operation Mode over the forecast years are also included. 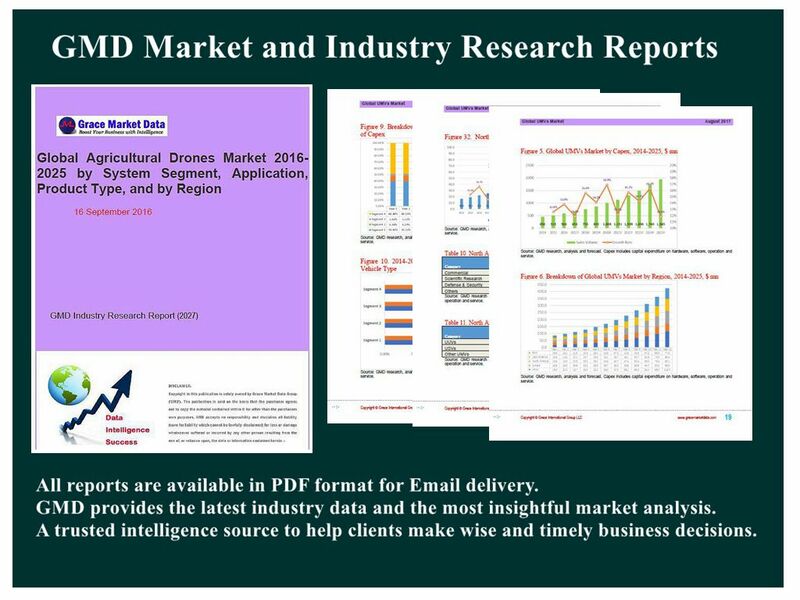 The report also covers current competitive scenario and the predicted manufacture trend; and profiles key robotics vendors including market leaders and important emerging players. Specifically, potential risks associated with investing in global military robots market for construction industry are assayed quantitatively and qualitatively through GMD’s Risk Assessment System. According to the risk analysis and evaluation, Critical Success Factors (CSFs) are generated as a guidance to help investors & stockholders identify emerging opportunities, manage and minimize the risks, develop appropriate business models, and make wise strategies and decisions.